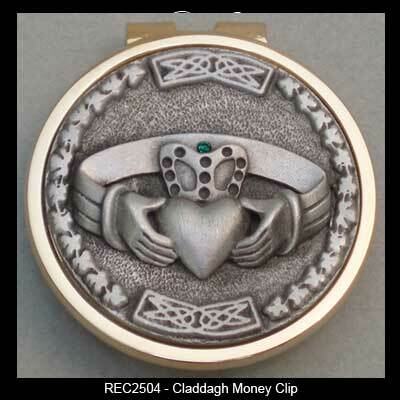 This Claddagh money clip features a solid brass finding that is set with a pewter emblem. The Celtic knot accented Claddagh money clip measures 1 3/4" in diameter and it is made in the United States. This spring loaded Irish money clip is gift boxed with Claddagh and Celtic knot history cards that are compliments of The Irish Gift House.